HUGO Chávez cast a giant shadow over the Western Hemisphere during his relatively short life. Few world leaders can claim to have influenced the course of history and geopolitics the way he did. For more than half-a-century, visionaries formulated and articulated ideas for the creation of a new power centre that resided outside of North America and Europe. Chávez transformed those dreams into reality, however limited, and upon his untimely death he left behind the legacy of a new world order that seems set to redefine Latin America and influence global affairs in the 21st Century. There are many who would disagree with these assertions. His detractors include the largely white upper-middle and upper classes of Venezuela, those of their ilk in the Americas, and conservatives across the world. For them, Hugo was a rambunctious dictator who imposed his socialist ideology on his hapless homeland. They say that he routinely violated his opponents' human rights, that he ran the oil-rich country's economy to the ground, and worse. I shall not engage this lot in futile debate save to raise a few pertinent points. 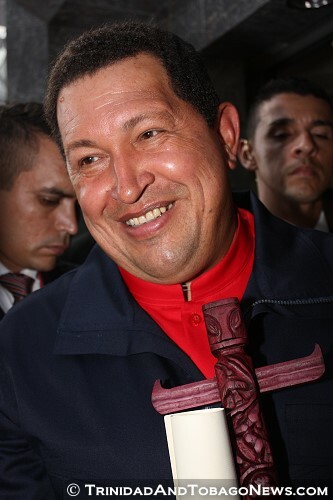 Chávez convincingly won three elections and two referendums during the 14 years he held power. How, therefore, can he be branded a dictator? For most of the 20th Century, Venezuela had oil and was governed by two parties, the AD and the COPEI. In their wake, when Chávez first came to power in 1999, extreme poverty stood at an estimated 40 per cent. By 2010, that number had declined to seven per cent. Indeed, from his detractors' perspective, one of Chávez's cardinal sins was that he spent too much of the national budget on alleviating poverty and social programmes. He focussed on low-cost housing, improving health services, making education accessible to all, establishing state-run groceries that delivered food to the poor at minimal cost, and much more. Little wonder that stricken though he was with cancer, he won a resounding victory in the October 2012 presidential election. One Associated Press reporter gained notoriety when she suggested that instead of "wasting" billions of dollars on social programmes, Chávez should have used Venezuela's oil money to build prestige projects (skyscrapers, art galleries) the way Dubai and Abu Dhabi did. Her warped priorities no doubt mirror those of the elites who were the sole beneficiaries of the country's wealth in the pre-Chávez era. Without doubt, Venezuela's economy, more so the critical oil sector, has not performed as well as it should have, given buoyant oil prices during most of Chávez's stewardship. A significant drop in crude oil production and refinery throughput is cause for concern. These declines would hardly have happened overnight, though: more than likely industry infrastructure degenerated over decades. His successors must now move to restore dynamism to the economy, a fitting tribute to the fallen leader. Chávez really made his mark on the wider canvas of Latin America and the Caribbean. From early in his political career he invoked the spirit of the legendary liberator Simon Bolivar. By the dawn of the 21st Century, the giant that is Latin America was coming awake after almost 100 years of economic slumber, battered by repressive US-installed regimes that were barbaric towards the continent's 200-plus million people. Endowed though they were with rich resources, the countries of South and Central America were mired in stagnation and relative poverty, serving mainly the geopolitical and economic interests of the US. It was a case of "cometh the hour, cometh the man" when a young and brash Hugo broke the political horizon in 1999. He took on the mission that Bolivar had left unfulfilled however many years before. In a flash–or so it seemed–he killed Uncle Sam's Free Trade of the Americas (FTAA) initiative and established the Bolivarian Alliance of the Americas (ALBA)–a small but not insignificant regional grouping. By 2008 he had convinced his colleagues, radical leaders like Lula in Brazil, Kirchner in Argentina, Morales in Bolivia and Correa in Ecuador, to come together as the Union of South American Nations. Next came the Bank of the South (BancoSur), a lending institution independent of US-dominated agencies like the World Bank and the IADB. By 2011, the 33-nation Community of Latin American and Caribbean States (CELAC), to which most Caribbean countries belong, was up and running. And back in 2005, when rocketing oil prices put immense pressure on small oil-importing countries, Chávez put in place the Petrocaribe alliance, a soft-loan-deferred-payment system that all but saved small Caribbean countries from economic disaster. For the first time in history, Latin American countries set about charting their own economic and political destinies, freeing themselves from the harsh strictures of international lending agencies. Today, thanks to Chávez's aggressive pursuit of continental integration, and to the progressive leadership that responded to his call to arms, South America, as Lula noted, is now "the world's most dynamic continent". From Caracas to Tierra del Fuego, the giant in its many manifestations has awakened, forging ahead–this time with the masses very involved and benefitting from the bounty. Chávez was the first Latin leader to embrace the Caribbean and open for us a door to immense trade and other possibilities. Through CELAC, the region can now reap the fruits of South-South investment and trade. Tourism takes on a new dimension. Manufacturers have new markets. And Trinidad and Tobago, with its huge pool of young engineers and technocrats schooled in hydrocarbons technologies, can tap into new energy horizons that are lighting up the southern skies. As we enjoy the fruits of a whole new world at our southern doorstep, let us never forget the catalyst of change who made it possible, Hugo Chávez. Thanks for everything, Bro.